Countries are increasingly investing in new energy projects to boost domestic energy production and shrink the demand for foreign energy imports. However, climate change may undermine efforts by countries to promote assured access to energy, including with nuclear power, hydroelectric dams and other energy projects that are tied to water resources. [D]roughts in China offer a stark example of how broader climate trends may undermine the nation’s ability to diversify energy resources and invigorate its efforts to seek fossil fuels in the South China Sea. Although China generated approximately 16 percent of its electricity from hydroelectric dams in 2009 and plans to nearly double its hydroelectric capacity by 2020, China’s hydroelectric power is projected to decline by 30 to 40 percent in the last quarter of 2011 because of a prolonged drought in parts of the country. However, this recent decline is not a unique event; in recent years, drought has reduced hydroelectric output even as China has been expanding its hydroelectric capacity. Scientific models suggest that climate change is likely to exacerbate drought in East and Southeast Asia by affecting precipitation trends. Thus, these conditions are likely to get worse, undermining China’s ability to generate renewable electricity from hydroelectric power and potentially reinforcing its demand for fossil fuels, including resources in the South China Sea. The bottom line is that the toll climate change could have on energy production reinforces a key principle that policymakers must adhere to when making energy policy decisions: climate change and energy are inextricably linked. Policymakers will become increasingly hard pressed to promote energy security without taking steps to both mitigate and adapt to the impacts of climate change. The best course of action is for policymakers to promote policies that have both energy and climate security closely in mind. 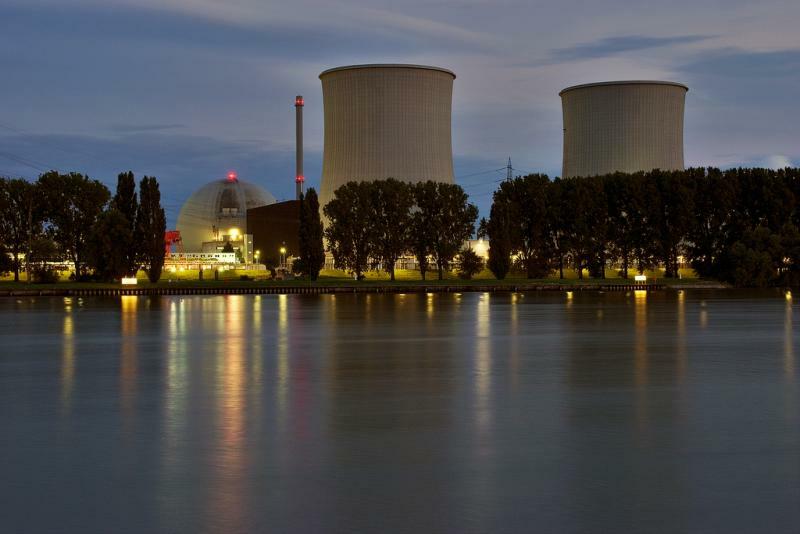 Photo: A nuclear power plant in Biblis Germany. Courtesy of flickr user Bigod.